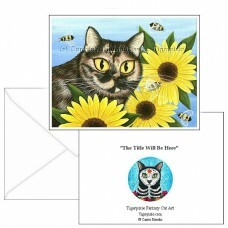 Hannah -Note Card- A beautiful Tortoiseshell Cat with sunflowers & bumble bees!.. 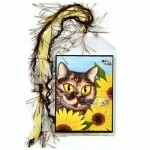 Hannah - Bookmark - A beautiful Tortoiseshell Cat with sunflowers & bumble bees!.. 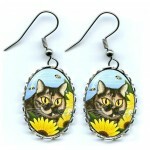 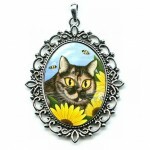 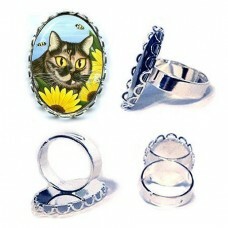 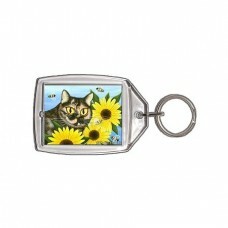 Hannah - Keychain - A beautiful Tortoiseshell Cat with sunflowers & bumble bees!.. 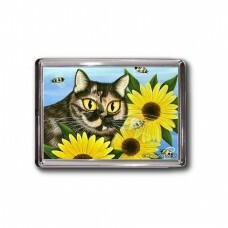 Hannah - Magnet - A beautiful Tortoiseshell Cat with sunflowers & bumble bees!.. 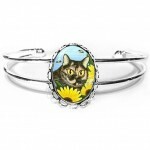 Hannah - Ring - A beautiful Tortoiseshell Cat with sunflowers & bumble bees!Be sure to che..
Hannah - Bookmark - A beautiful Tortoiseshell Cat with sunflowers & bumble bees! 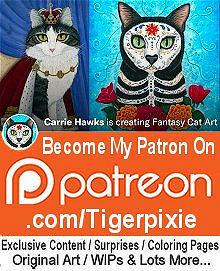 Hannah - Ring - A beautiful Tortoiseshell Cat with sunflowers & bumble bees!Be sure to check out the Related Products to find matching jewel..
Hannah - Cuffed Bracelet - A beautiful Tortoiseshell Cat with sunflowers & bumble bees!Be sure to check out the Related Products to find matching ..
Hannah - Earrings - A beautiful Tortoiseshell Cat with sunflowers & bumble bees!Be sure to check out the Related Products to find matching jewelry..
Hannah - Cameo Necklace - A beautiful Tortoiseshell Cat with sunflowers & bumble bees!Be sure to check out the Related Products to find matc..
Hannah - Prints - A beautiful Tortoiseshell Cat with sunflowers & bumble bees!.. 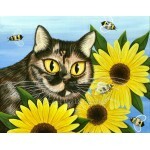 Hannah - Limited Edition Canvas Prints - A beautiful Tortoiseshell Cat with sunflowers & bumble bees!..